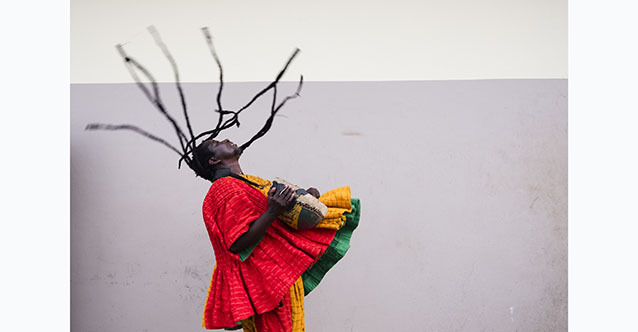 King Ayisoba born Albert Apoozore is a Ghanaian traditional musician known for his unique style of music alongside the kologo. He plays in bars and supermarkets until 2007 when his song I Want to See You My Father doesen't grab the attention of different artists in Europe and America to his afroblues rhythms with a traditional vibration. Now we are listening his music here alongside his quintet as a part of AfroVision fest.